Bordering the coastline of the Costa Blanca, about 1 hour away from Alicante is Playa d'el Albir, and nestled snugly into the flank of the mountainside is the award winning SHA Wellness&Spa. This is no ordinary hotel but rather a pioneering resort with its very own clinic dedicated to improving and preserving its guests health and well-being through an effective combination of the best natural therapies and macrobiotic diet. Without doubt it is an undisputed temple, where the most advanced techniques of Western medicine blend harmoniously with the ancient wisdom of the East. Built on split levels, it is imposing rather like a ship, with breathtaking views over the Sierra Helada mountains on one side and overlooking the bay of Altea on the other. We were warmly greeted by Mr Bataller Pineda who gave us a grand tour of his impressive establishment and immediately made us feel very welcome. The decor is modern and attention to detail is king.White marble, lots of glass and contemporary slick furnishing gives this place an air of tranquillity,elegance and well being. A place, where you instantly feel, that both your body and soul can relax. The therapies on offer here are based on ancient Oriental techniques as well as Western Aesthetic medicine. Choose anything from Ayurvedic massage, water therapies, acupuncture, anti-stress, detox, weight loss, rejuvenation and therapeutic treatments. There is something for everyone, even the restaurant offers macrobiotic cooking lessons or join a yoga, tai-chi, chi-kung, or meditation class. It is all there. The SHAMADI restaurant and the outside dining area on the vast terrace immediately caught my attention,.... Yes, I know.... I am already thinking about food but as a Chef and food writer, I am a bit obsessed with my food and while my wife was looking forward to beautifying herself, I, on the other hand was looking forward to Pablo Montoro 's Macrobiotic cuisine. The restaurant is located on the fourth floor, you can either dine inside or al fresco on the spacious terrace, both offering magnificent views of the mountain and the coastline. 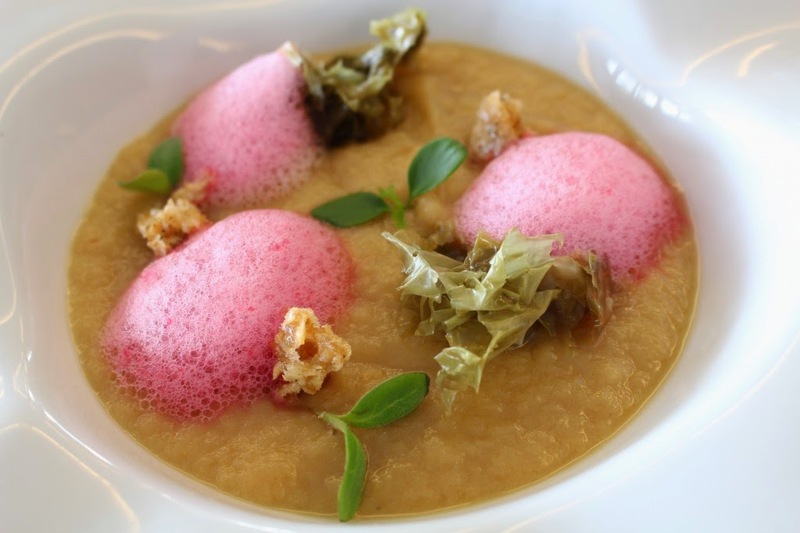 The food is a modern range of macrobiotic dishes with a Mediterranean and Japanese fusion flavours where Pablo Montoro, the executive Chef , a past disciple of Ferran Adria and Martin Berasategui changed his gastronomic aims after discovering the guidelines of Michio Kushi, the father of today's macrobiotics. From there came his new focus and desire to bring together the creativity of fine dining in a more healthy way yet delicious at the same time. I was pleasantly surprised how tasty the food was and by his use of the seasons' delicacies where all flavours and textures are taken full advantage of, without altering their natural essences. It was a gastronomic delight and adventure for me in discovering a cuisine and style of cooking that was unfamiliar to me. It was a revelation, very tasty, healthy and not in the least compromising on flavours . To top it all, the wine is organic too...Well ! what more could one ask for !!! 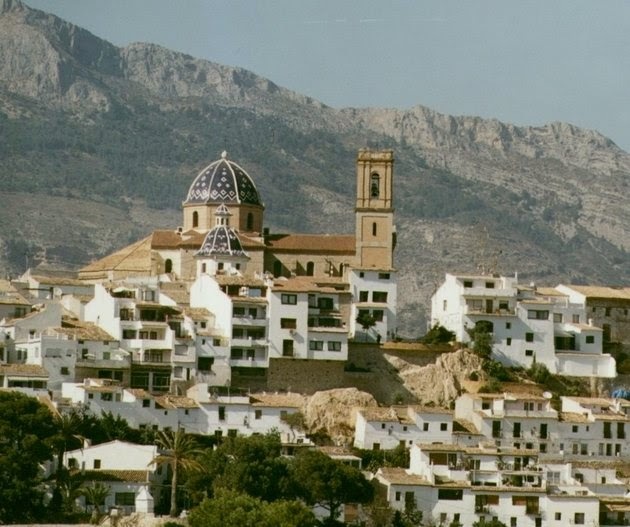 While you are there, do go and visit the pretty village of Altea, a place that has long been a popular retreat for artists, sculptors and writers. The old town is perched on top of a steep hill, dominated by the blue and white ceramic dome of its parochial church. The narrow medieval cobbled streets gives the old town lots of charm while the new part of the town has escaped from the ugly over-development that has plagued many towns and villages on that coast. Both are very family orientated and while with plenty of bars and restaurants, this is not the place if you are looking for night clubs and a hectic nightlife. Altea has lots of very good restaurants, among others, do check out Oustau,on C/mayor 5, sit outside under the naya, where Olivier will delight you with his French bistro-style cuisine. Do book thou as this place gets very busy. 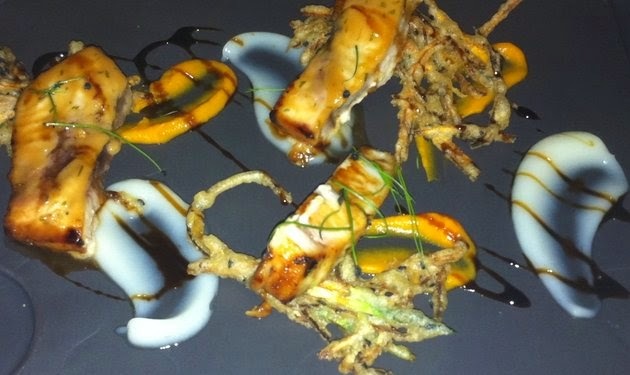 For Modern Mediterranean Cuisine, visit CoCoRoco Restaurant at La Serena, on Calle Alba 10. This is a smart Boutique hotel with a great bar and there's music on the terrace too. 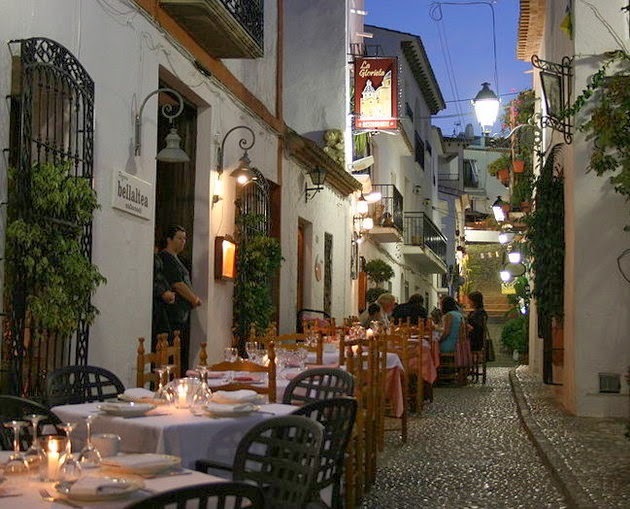 For traditional Spanish cuisine , visit Ca Joan restaurant braseria, Ptda La Lolla 146, on the main N-332 Altea road. Very good and great value. For Italian , Ristorante La Bruschetta , Ptda La Lolla 45, is where Maribel and Tommaso cooks traditional Italian, while the food is good, this place is on the pricey side. For more cocktails and music, try the Melia Villa Gadea, Thalasso & Spa. A five * hotel on the far end of Altea and for golf lovers, the Club de Golf Don Cayo, in Altea la vella has a 9-hole course. 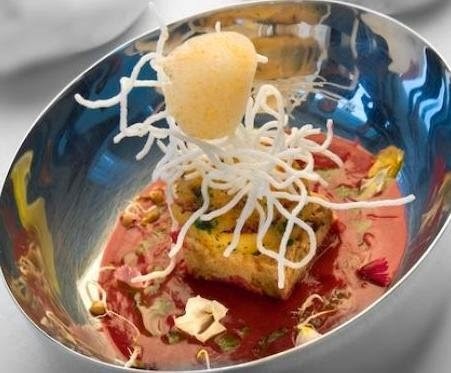 For smart and stylish evenings , head for Puerto Deportivo Luis Campomanes, at the bottom of Altea Hills. A charming little port with luxurious yachts and boats. Here you will find smart bars, restaurants and sample great seafood at the Club Nautico Campomanes, great spot for people watching too on balmy evenings. Or venture inland, enjoy the landscape and beauty of the Serra de Bernia & Xorta Mountains with its ever winding roads,olives groves, terraces of almond, orange and Loquat fruit trees. 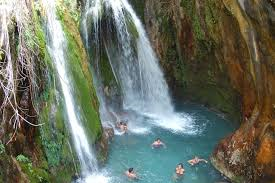 Visit the Fonts del Algar and the Fortress of Guadelest perched on the uppermost part of a mountain peak, overlooking a deep valley through which the Guadelest river flows. Here you will find plenty of shops selling local arts & crafts. Don't forget to taste the Minxos and the Loquat fruit.